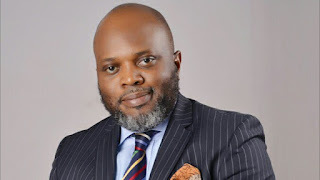 Presidential candidate of the Abundant Nigeria Renewal Party, ANRP, Tope Fasua has described his contender in the Peoples Democratic Party (PDP), Atiku Abubakar, as a local champion without sufficient exposure to global economy. He said this yesterday at The Osasu Show presidential debate in Abuja. Atiku had said he would revamp the economy by opening up the system for foreign investments and privatisation of state-owned assets. Fasua, while speaking on economic reforms at the debate, said Nigeria can achieve economic recovery without necessarily adopting Atiku’s ideas. He said: “I have done business abroad; in the UK and in the UAE more than Atiku who is a local champion in Nigeria. “We can double and even triple our taxes in this country even with the extant laws we have, if only they were serious. “The Federal Inland Revenue Service, FIRS, last year made N4.33trn. The best year for FIRS so far was 2013 under the Jonathan government that we criticise a lot. They may N5.007trn.